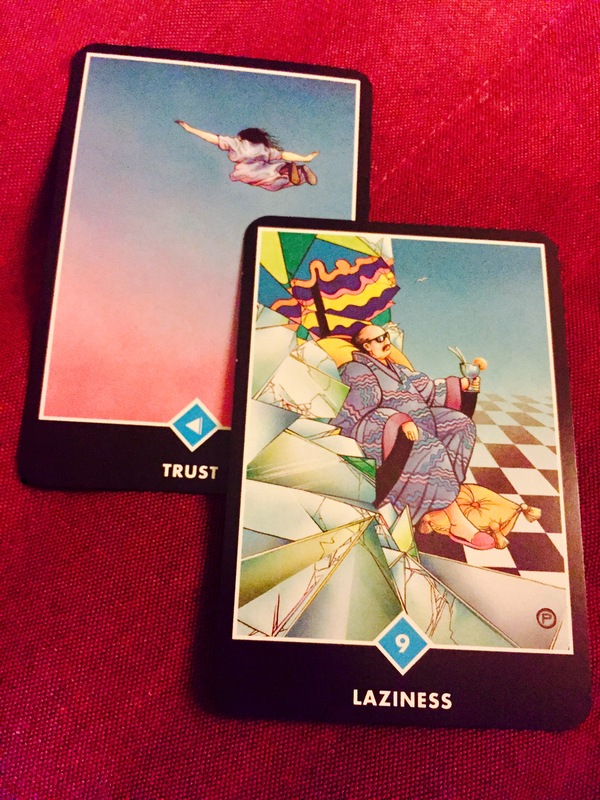 September’s spread, which I pulled using the Linestrider’s tarot deck, was very much about dreams and how we manifest them; if you missed that post, you can catch up here. October’s spread, which I pulled using the Sun and Moon tarot deck, is all about flow. As I mentioned in August, each month I do a spread concerning what I should stop doing in the coming month, get started on, and continue with. 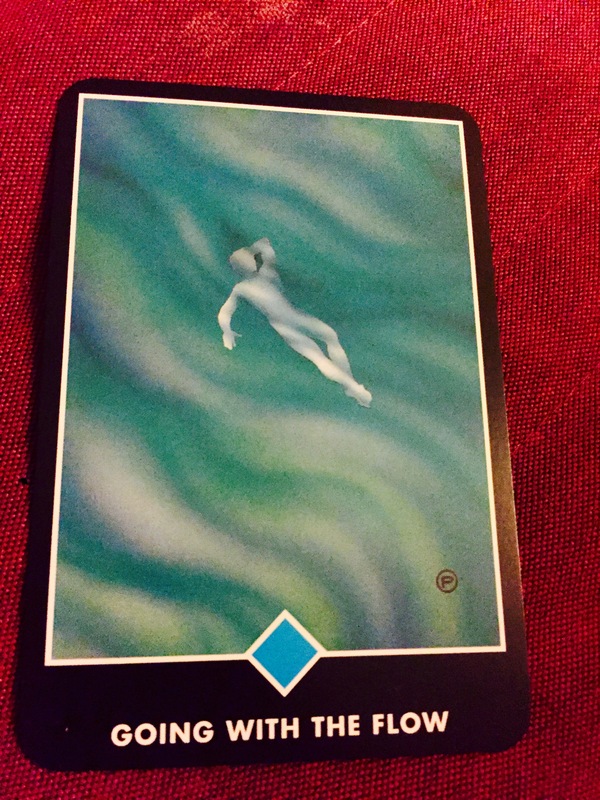 I also pull a focus card to direct my path. 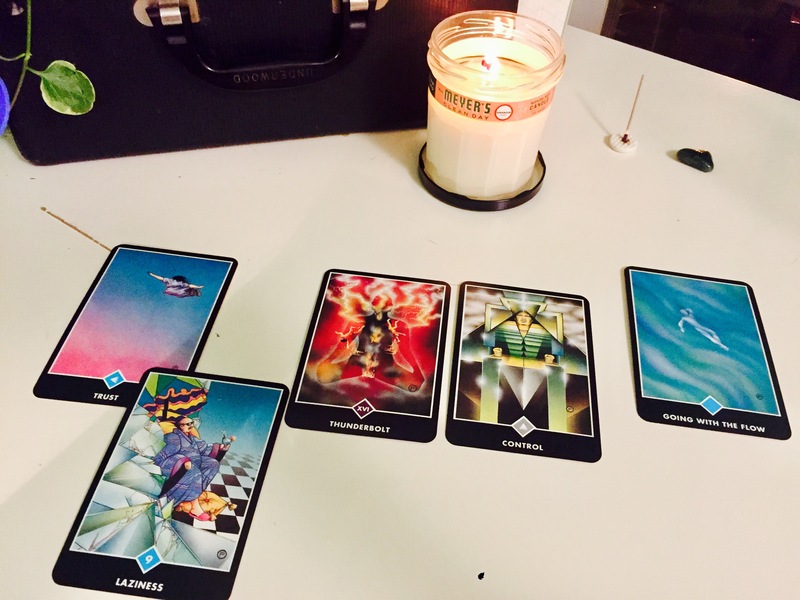 August’s spread was about inner work that needed doing, if you missed my recap for my spread, you can get caught up here. September’s spread, which I pulled using the Linestrider’s tarot deck, is very much about dreams and how we manifest them. 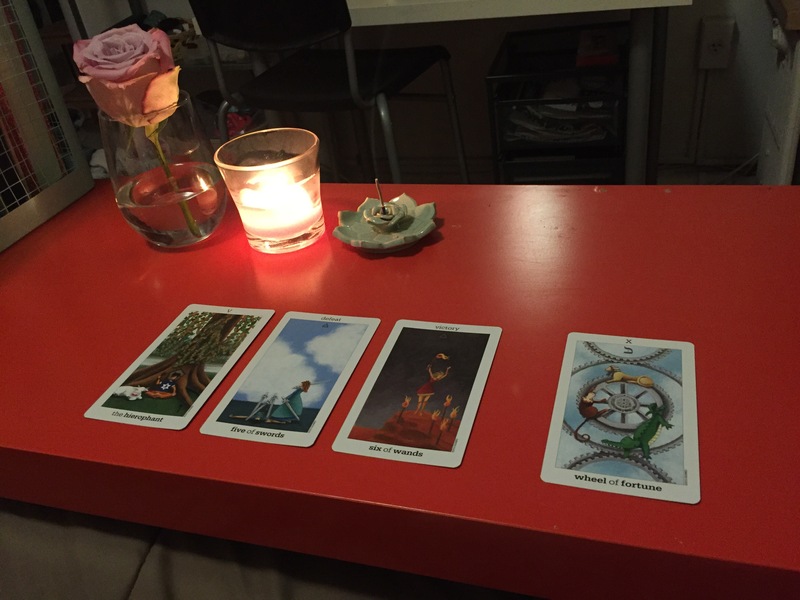 At the beginning of every month, I do a tarot spread regarding the month ahead for a little outside-the-box inspiration. I pull a stop card (what I should stop doing in the coming month), a start card (what I should start doing), a continue card (what I should keep doing), and a focus card (what I should keep in mind). Wait, don’t leave! Let me explain. 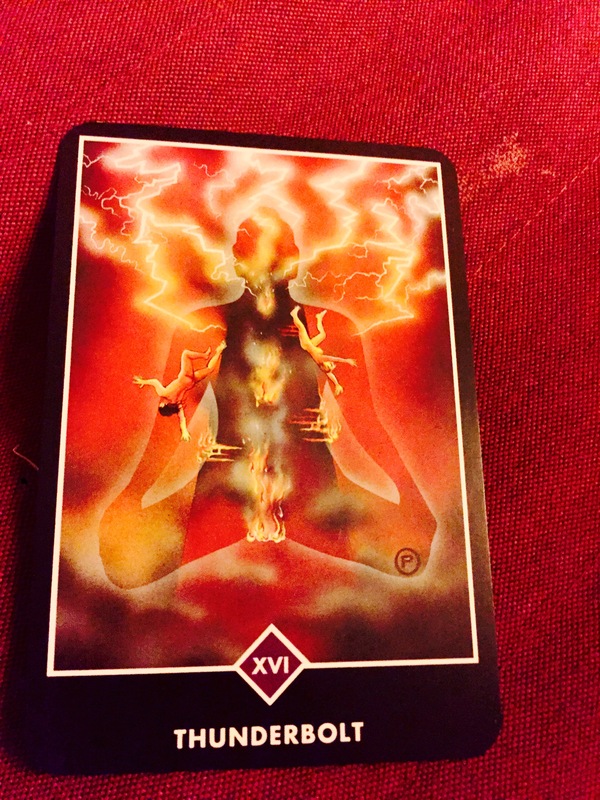 I got into Tarot via my sister. She’s been practicing for nearly a couple years (I think), and when she first told me about it, I will admit my reaction was likely similar to yours just now: Okaaaaaay. Whatever floats your boat. But I was supportive of course. However, I eventually became curious, especially when she compared it to learning a foreign language, and when I went to visit in February, I signed up for my first lesson with her. She gifted me the deck you see below (Universal Waite Tarot Deck); traditionally, first decks are given, not purchased. (Keep in mind, just a tradition.) And away I went. I’ve been dabbling since then, with her help and some self-teach. 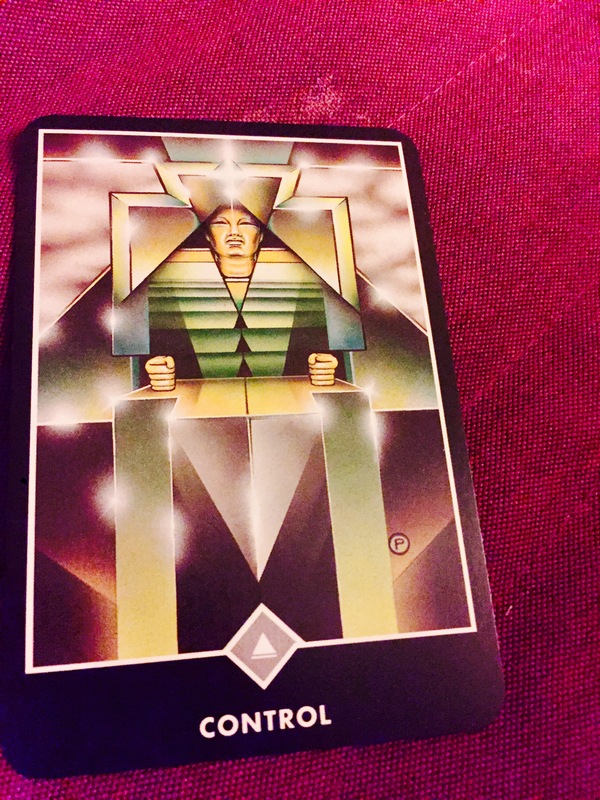 Biddy Tarot’s website and podcast have also been excellent resources. In no way do I claim to be an expert, just a practitioner; readings are my intuitive own. Now, back to my regularly scheduled programming.